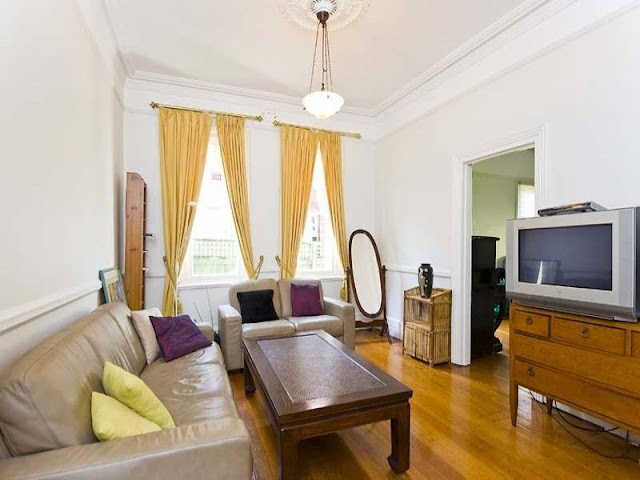 Kirribilli is a one of the Sydney’s most established and affluent neighbourhoods, it is a harbourside suburb, sitting on the Lower North Shoreof Sydney Harbour. The area was largely covered in native bush. 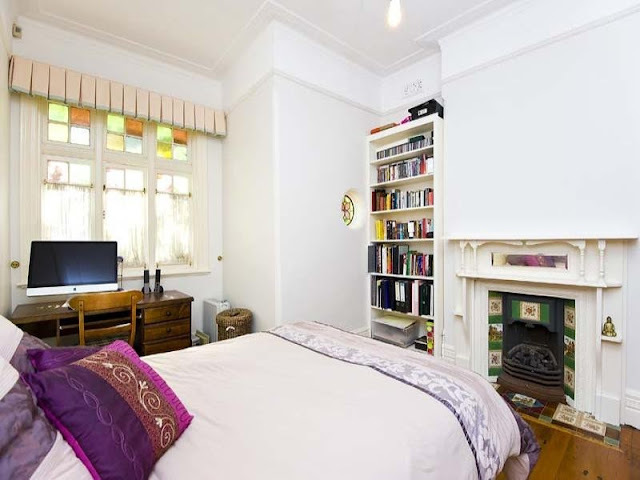 As the decades passed, the land was cleared bit by bit and sub-divided, first for the construction of large family residences during the 1840s, secondly for the erection of Victorian terrace houses from the 1860s onwards, and finally for 20th-Century flats. Prominent early landowners in Kirribilli included members of the Campbell, Jeffrey and Gibbes families. Colonel John George Nathaniel Gibbes (1787-1873), the Collector of Customs for New South Wales, built ‘Wotonga’ – the forerunner of Admiralty House – in 1842-43 on a 5-acre (20,000 m2) site which he leased, and then purchased, from the Campbells. Gibbes’ son, William John Gibbes, lived nearby in Beulah House during the 1840s. Beulah was later lived in by the Riley and Lasseter families. Eventually, the house was demolished and its grounds subdivided into numerous residential blocks which were put up for public auction in 1905.
is a rare example of a mid-Victorian house in its original curtilage. A fine substantial period dwelling which is associated with a local Alderman and which has been little altered. Owned by one family for nearly a century. This building is designed in the Victorian Regency style. Two storey stone and brick house with hipped slate roof . 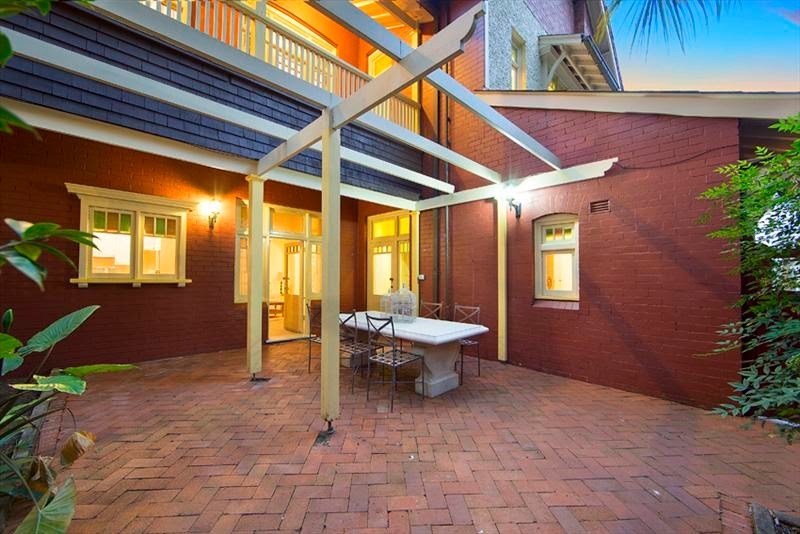 Two storey verandah on north side. Mature garden and stone boundary wall. Built 1874 for Nicholas McBurney, a Writing Clerk and Alderman on the first Council for North Sydney in 1890. He was bankrupted in 1893 and the property passed to his wife. 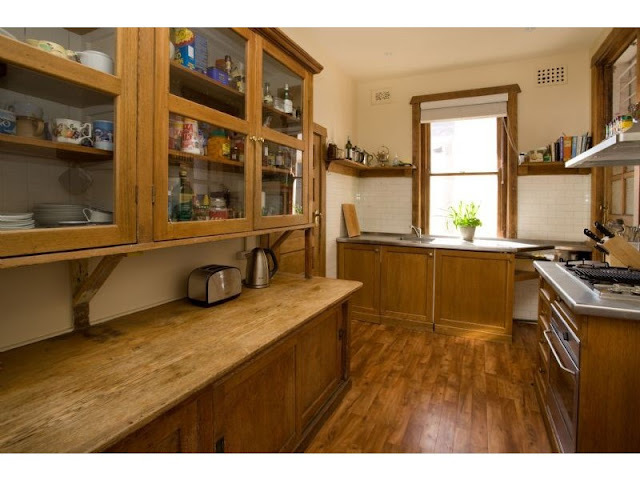 It remained in family ownership until 1971 and the property has remained intact to the present day. 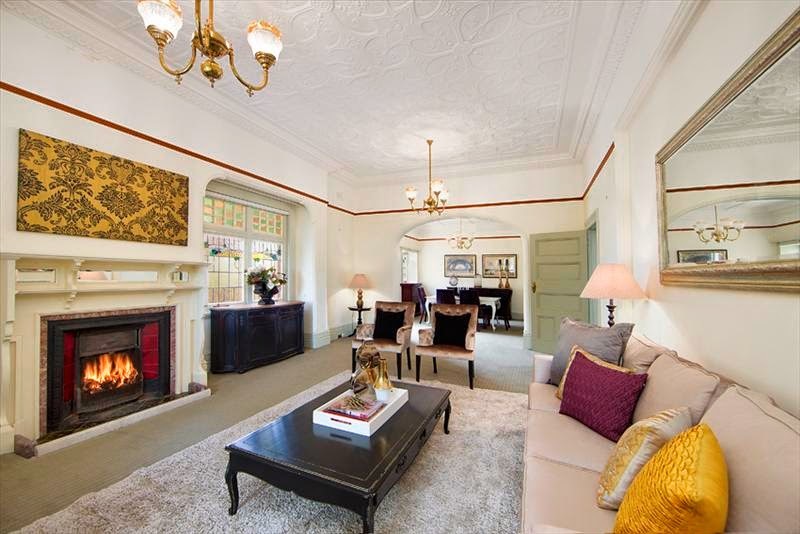 “Grand proportions , refined features and a premier address characterise the heritage ‘Burnleigh’ c1875. Occupying an impressive 835sqm north facing block with beautifully landscaped grounds, it is one of Kirribilli’s most significant homes and a residence of immense character. 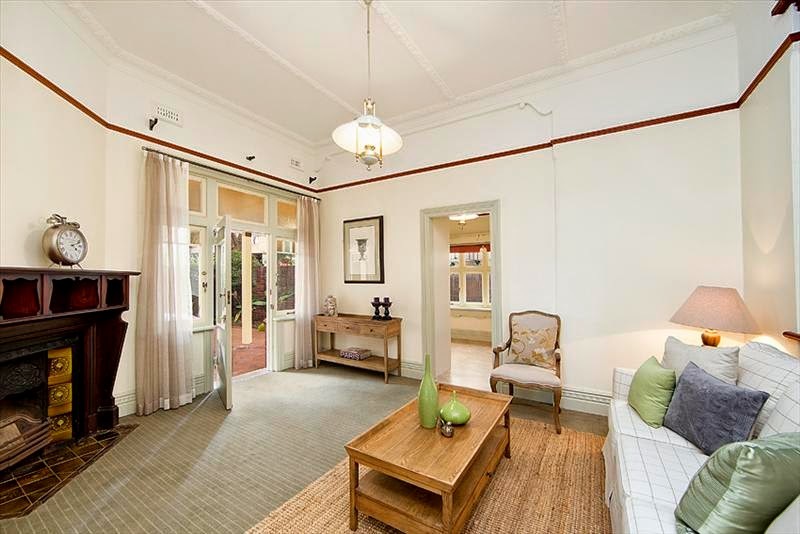 17 Holbrook Avenue, Kirribilli, NSW 2061, This building is designed in the Federation Free style. A predominantly three-level rendered brick apartment block on a rusticated stone basement with a terracotta tiled multi-hipped roof with projecting gables over rectangular projecting window bays. Side entrances have semi-circular arches with stone voussoirs. Sills and lintels are of moulded concrete and window bay wall areas are shingled. 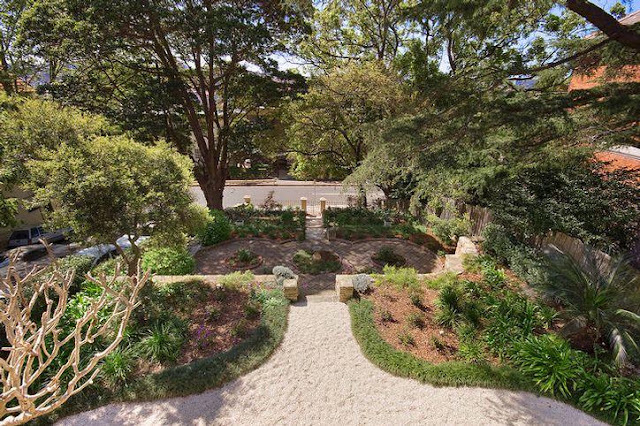 The foreshore garden is terraced in sandstone with an interesting curved and balustraded seawall and boat ramp. 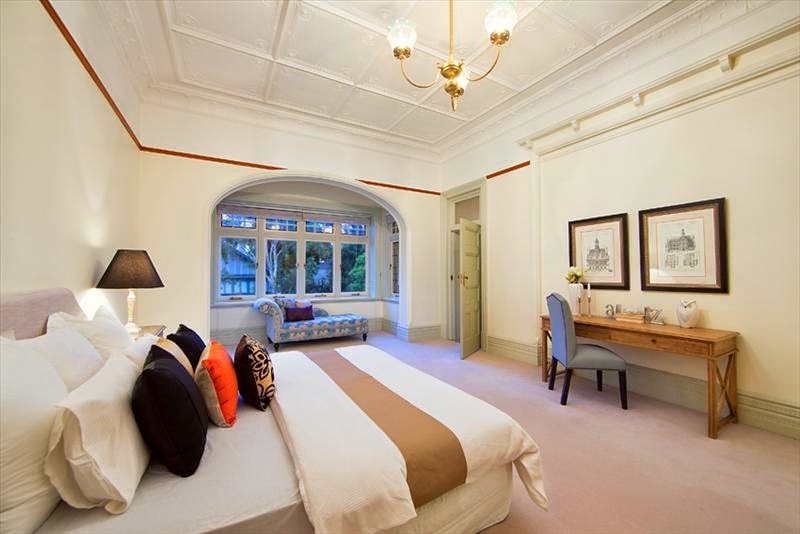 “Filled with character and charm, classic features include sandstone walls, timber panelled ceilings and solid timber doors. There is abundant storage cupboards throughout and bespoke cabinetry in the master bedroom. In addition to the apartments superb alfresco terrace a lower level communal terrace capable of accommodating the largest of gatherings sits above the water offering exceptional unimpeded 180 degree harbour panoramas. “One of the prized jewels in Sydney’s harbourfront crown, this elegant older style security building stands timelessly resplendent and immaculate. Graced with exquisite period detailing and level lawns nudging the harbour’s edge with its own private jetty, it covers an impressive 146sqm on the top floor of an exclusive arrangement of only 7. 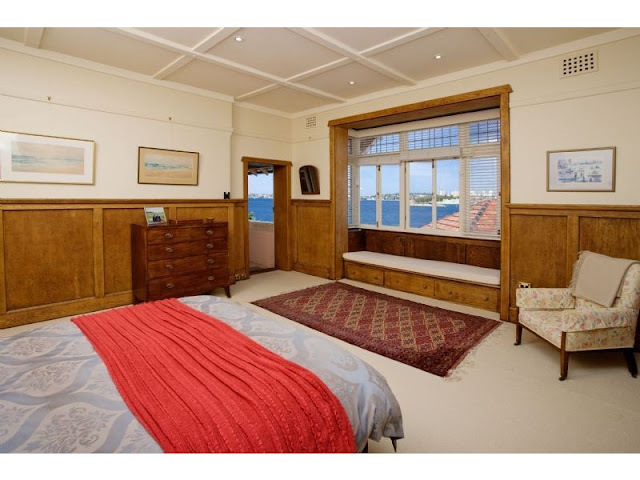 Restored with integrity and styled with taste, it is focused around grand formal living areas and a wide balcony with point blank harbour views from Mrs Macquarie’s Chair to the Eastern Suburbs and Bradleys Head. 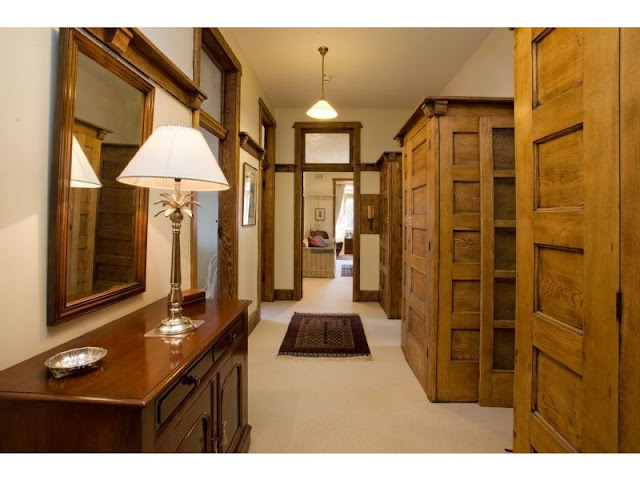 two giant bedrooms with views, large home office with library, 2 sizable sunrooms, classic heritage style bathroom, internal laundry and lock-up garage. A good example of a large Federation period residence. It is in a row of individualistic though similar federation buildings which together show the variety of this style. This building is designed in the Federation Queen Anne style. Asymmetric three storey house with attics and basement of brick on stone foundations with terracotta multi-gabled roof. 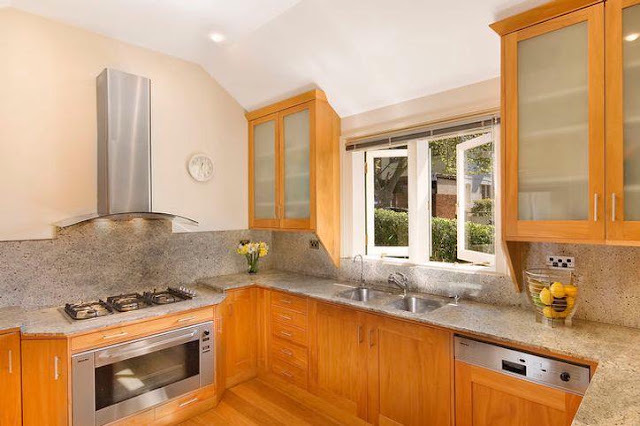 Timber shingles to verandahs, rough-cast stucco gable ends, timber verandah posts and railings and a semi-circular entry to the basement are some of the features. 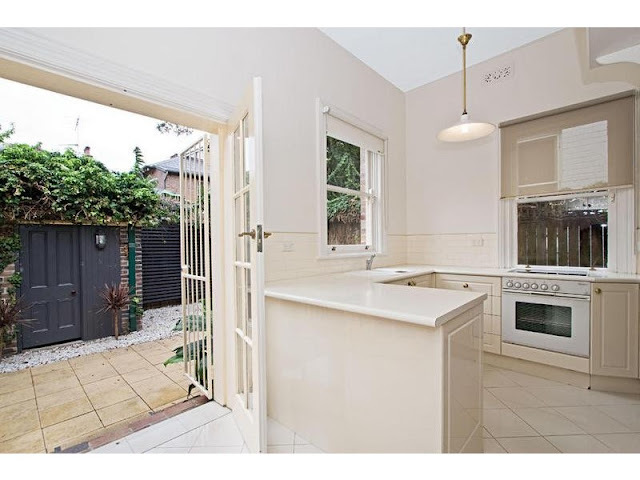 Attached at the rear to a three-storey extension to the north. A group of Federation houses obviously built as a single development in the early twentieth century, which are well detailed and representative of this type. An important streetscape element in the vicinity and a major visual relief to the surrounding flats development. Important as part of the diversity of building types in the area. Group is evidence of developmental history of the vicinity. A group of five federation brick houses, three being single storey semi-detached bungalows and two two-storey houses arranged as flats, occupying the western half of a large suburban block. 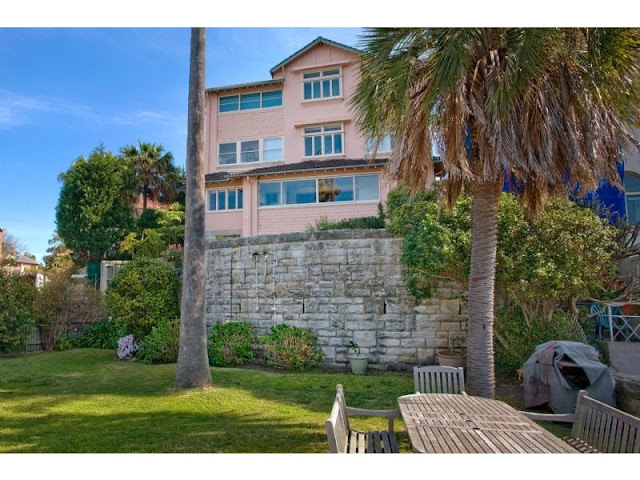 The three bungalows are virtually identical along the Kirribilli Avenue frontage, each being divided longitudinally into two houses. The two are similar but No. 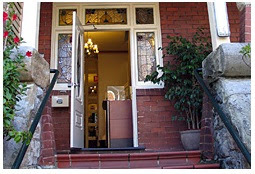 12 has a side frontage to Waruda Avenue with entry to the house at the corner of Waruda Avenue and Waruda Street. Positioned on one of Kirribilli’s most exclusive streets, this renovated Federation semi enjoys a prestigious peninsula address moments to the harbour foreshore and historic village heart. 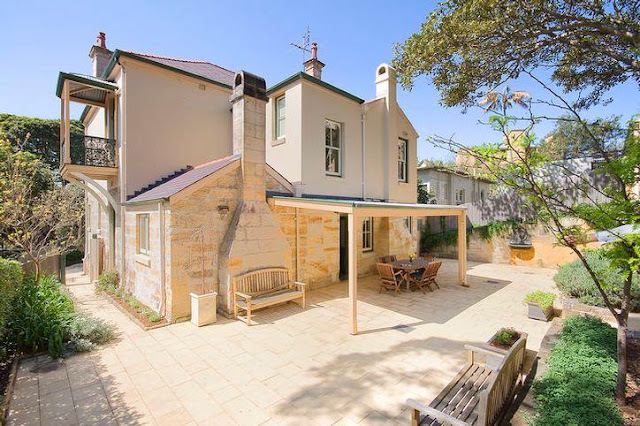 Proudly retaining the gracious proportions and refined features of its heritage, it features a generous layout with separate living and accommodation zones and captures a view of the tip of the Harbour Bridge from the open plan rear. 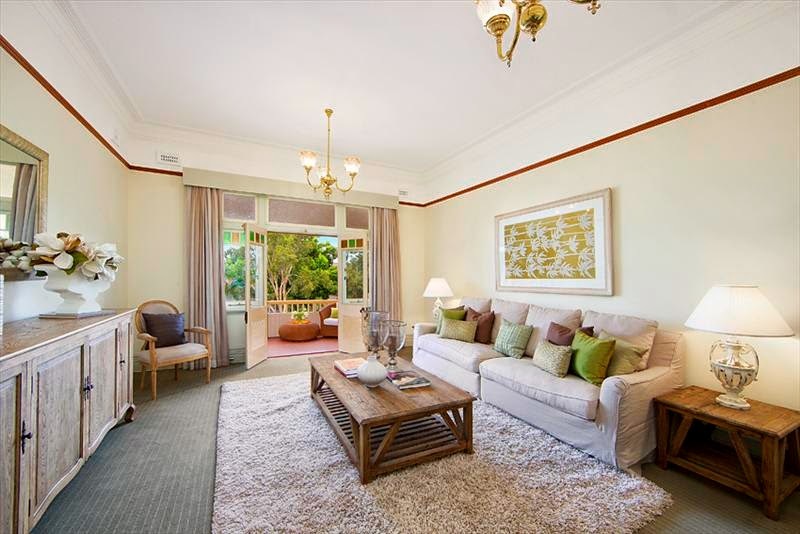 Stroll to elite schools, buzzing village cafs, spectacular foreshore walks and the station. 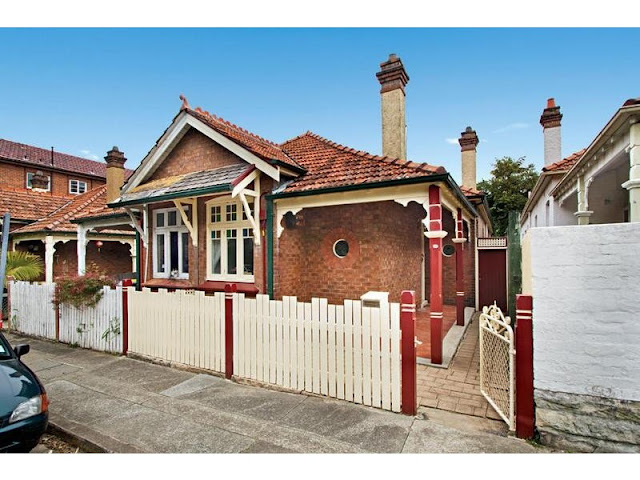 Two storey brick, weatherboard and timber shingled house with multi-gabled corrugated-iron roof. Doors to the ground floor have segmental arch fanlights and sidelights and the verandah is carried on a row of Tuscan style columns. Upper floors are entirely clad in raw timber shingles. 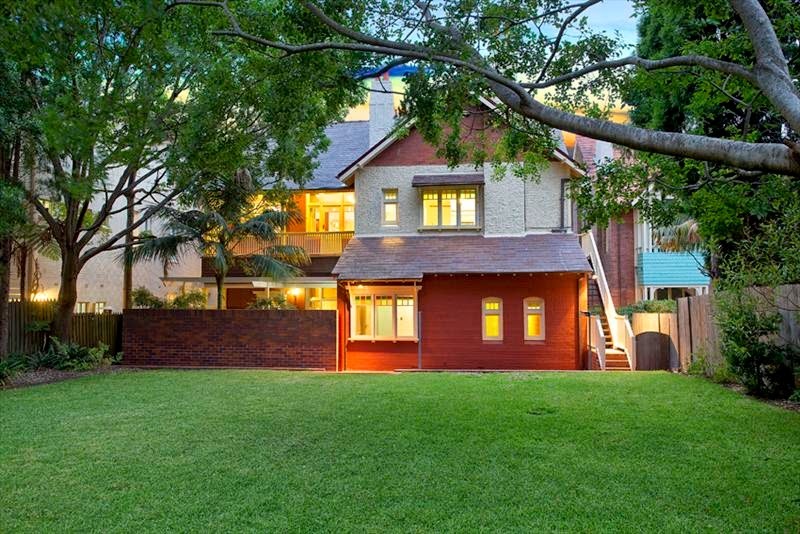 Settlement on the Reserve Bank’s long-held Kirribilli property Eversley reveals the buyer, at $5.2 million, to be Catherine Verschuer, wife of Westpac’s managing director of foreign exchange and commodity Paul Verschuer. 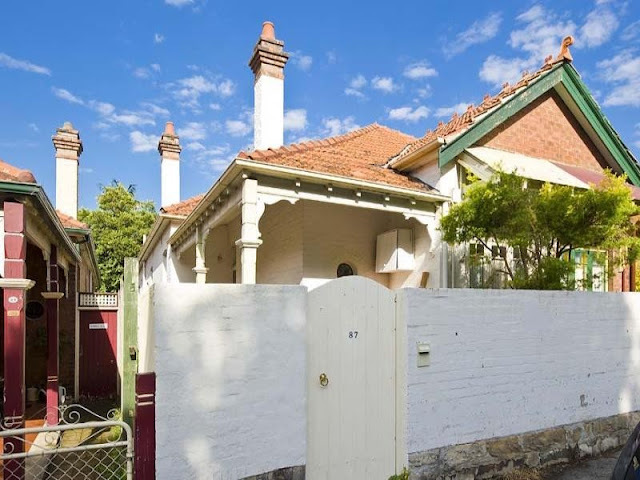 Following the couple’s purchase of the converted duplex at its March auction through Kingsley Yates, of Ray White Lower North Shore, expect to see their nearby Victorian terrace on Peel Street hit the market soon. 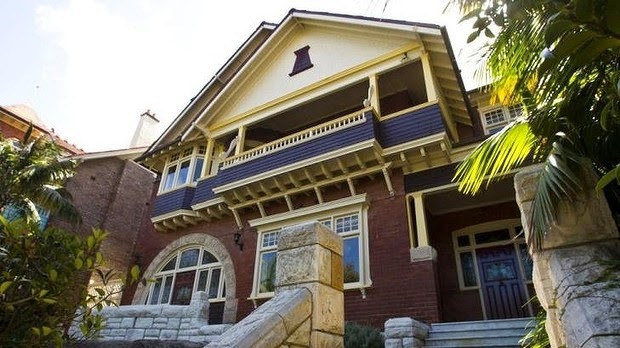 Last May, the Verschuers bought the Cottage Point mansion of entrepreneur Drew Muirhead for $3.35 million. That five-bedroom glamour pad with its own disco-windowed infinity pool featured on Grand Designs Australia in 2012. 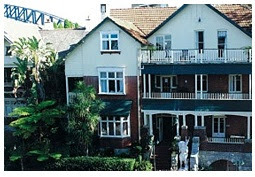 One of Kirribilli’s finest federation manors & currently divided into two house sized apartments, “Eversley” was built in the early 1900s on a commanding landholding. Standing proud on approx 920sqm with harbour views from the upper level, this grand home’s refined architecture, flexible layout and expansive grounds present a wealth of opportunities. Ideal for dual living or multi generational families, this significant estate lends itself to transformation into a magnificent residence in one of Sydney’s most exclusive foreshore settings. The Reserve Bank of Australia is seeking to sell a 920-square-metre harbourside residential in Sydney amid the highest home prices the city has ever seen. 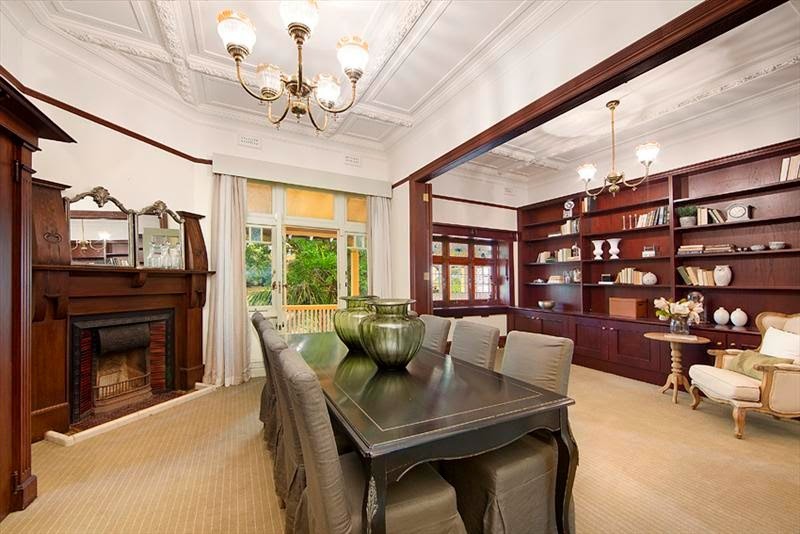 The central bank has listed for sale the six-bedroom Eversley mansion near the northern end of the Sydney Harbour Bridge through broker Ray White Group, according to a listing on realestate.com.au. 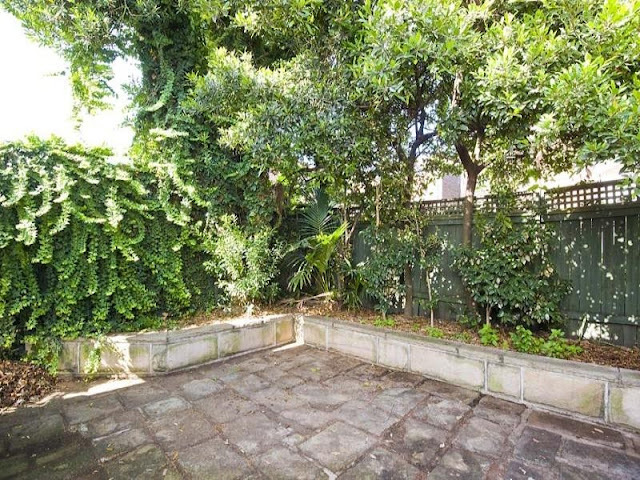 No price guide was given for the property in Kirribilli, where the median house price is $2.35 million. The RBA is putting the house up for sale after its record- low 2.5 per cent benchmark interest rate helped drive a 13.4 per cent gain in Sydney dwelling prices in the 12 months to January 31. While home prices are at a record, the country’s jobless rate is at a decade-high 6 per cent, shrinking the likelihood of a rate increase that could arrest further price surges. State government filings show the RBA owns both apartments. The Reserve Bank bought Eversley, at 10 Carabella Street, in 1986, according to a city council document. The tenants of one of the apartments gave notice of their plans to vacate in mid-2013, according to documents released in December under a Freedom of Information request. 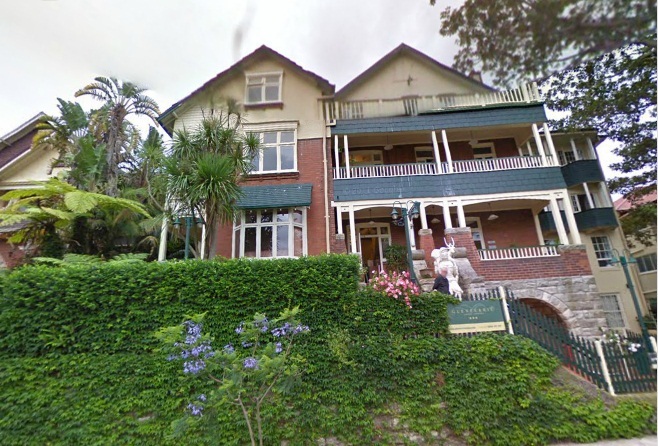 The central bank also owns a training college in Kirribilli. 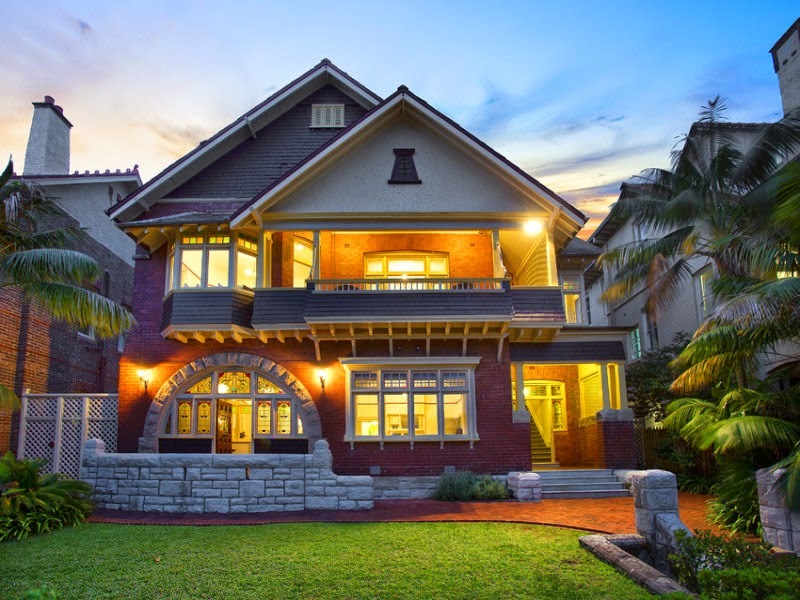 The Reserve Bank of Australia has listed a near harbourside, residential mansion in Sydney’s Kirribilli. 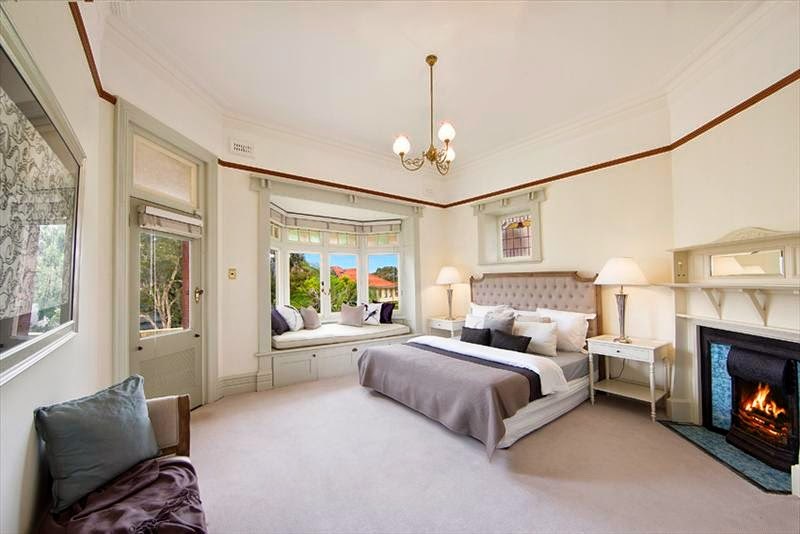 The six bedroom Federation, Eversley mansion on 920 square metres at 10 Carabella Street has been listed through Ray White agent Kingsley Yates for March 22 auction. It’s been across international wire services since Bloomberg News wrote the story, with property blogging conspiracists going into overdrive ever since. 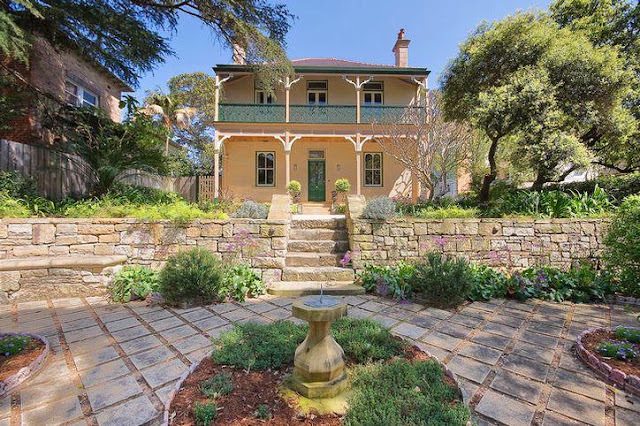 No price guide has been given on the heritage listed home, but I’d expect it could almost double the Kirribilli median house price of $2.25 million as the street’s longtime substantial five bedroom offering, entreprenuer Simon Clausen’s Burnleigh, the 1875 landmark home on 810 square metres, remains listed with $4.4 million pricing hopes. The timing might possibly be prescient with home prices currently at record levels, but I am aware that in recent years the property has been beset with pesky landlord issues taking up much of the central bank’s time. Issues including leaking taps, pathway descaling, problematic cistern, dangerous tree limb decay, low pressure hot and cold shower water, hazmat requirements, leaking roof tiles, balustrade compliance, damp kitchen ceiling, decaying front garden fencing, the back fence replacement, bathroom grouting issues, possums in the fiddlewood tree, beeping fire alarm on the first floor, and the failing light above the sandstone stairs that meant the steps were dangerous. At one point rental abatement was given. Some of the landlord-tenant issues apparently even needing the governor Glenn Stevens’ attention over the past few years or so. They quite simply have better things to do with their time and money. 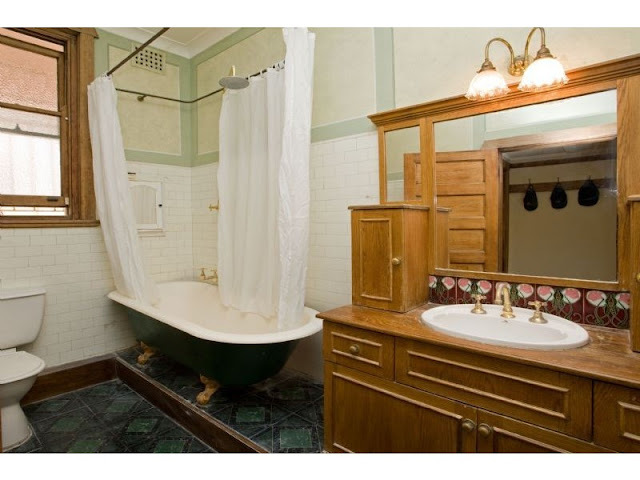 There was already a $180,000 refurbishment in 2011 and some $140,000 estimated to repair the bathrooms more recently. 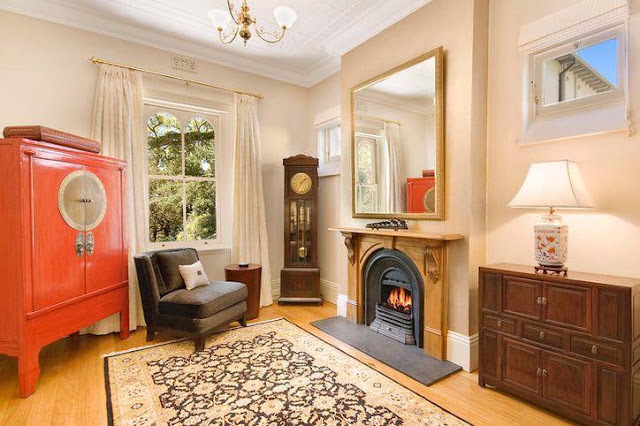 The now renovated and refurbished house, split into two apartments, is one of an estimated 70 freestanding homes in the suburb. It is a two storey brick house with multi-gabled slate roof, plus timber shingles to gable ends and verandahs. There is stone voussoirs to large semi-circular leadlighted window and leadlight at entry porch. 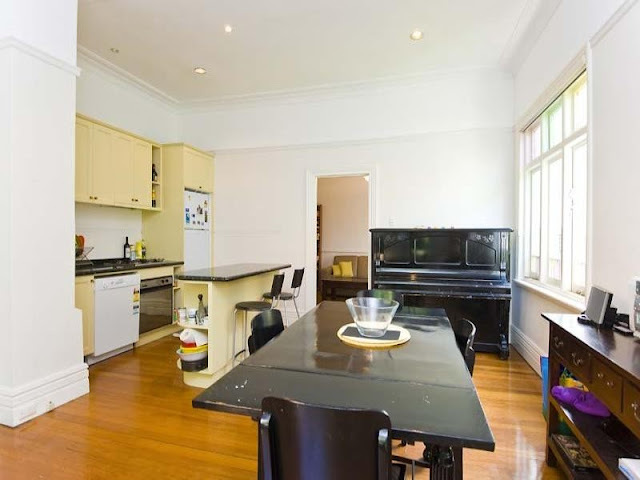 The upstairs has around 199 square metres of space – at a $1,125 weekly rental. 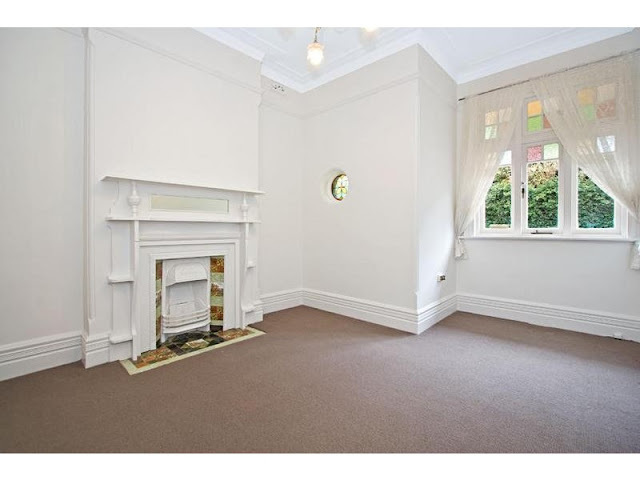 There was 218 square metres of space downstairs – with the rental details not known by me as it was on an expired lease arrangement. Let’s say the rental yield – from my back of an envelope calculations – was 2.9% – hardly the right signal of the bank who wantas to convey fiscal wisdom. But it was a great asset as it was bought in April 1986 under Bob Johnston’s governorship just before the Sydney market took off in its record boom for $630,000. I recall it was snapped up within two weeks of its 1986 listing as it provided not only a landbanking opportunity for the central bank, but also to provide overflow accomodation for lecturers participating in the 1988 SEANZA conference. Only oldtimer RBA watchers like Alan Mitchell, Ross Greenwood and Terry McCrann would know the establishment of South East Asia, New Zealand, Australia (SEANZA) grew out of a 1956 meeting of central bank governors from the Asia-Oceanic region. 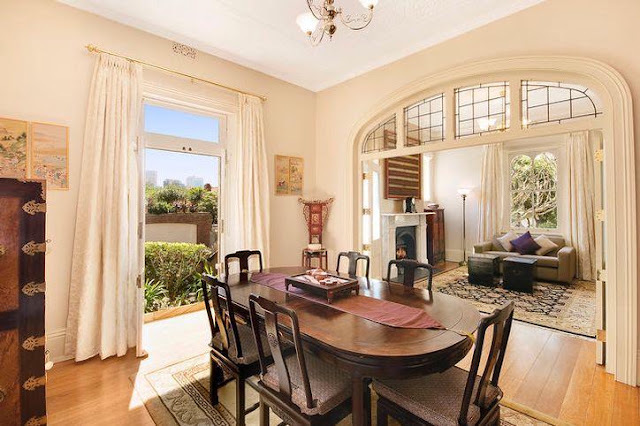 Ensuring the landbanking opportunity, the RBA also bought next door, 8 Carabella Street in the very next month, May 1986 for $575,000, which was 14 flats in a historic building with three storey Italianate tower on 799 square metres. 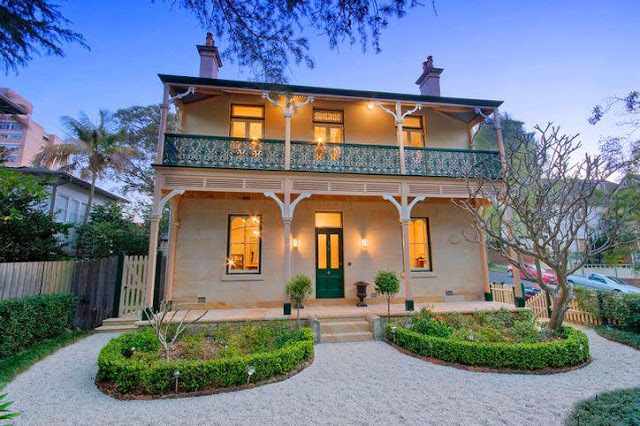 Its heritage listing describes it as having simplified Italianate details used with restraint. It was incorporated into the bank’s then conference centre plans for its longtime holding at 112a Kirribilli Street, joined by a two level brick-walled passage between 8 Carabella Street and the large new development adjacent. 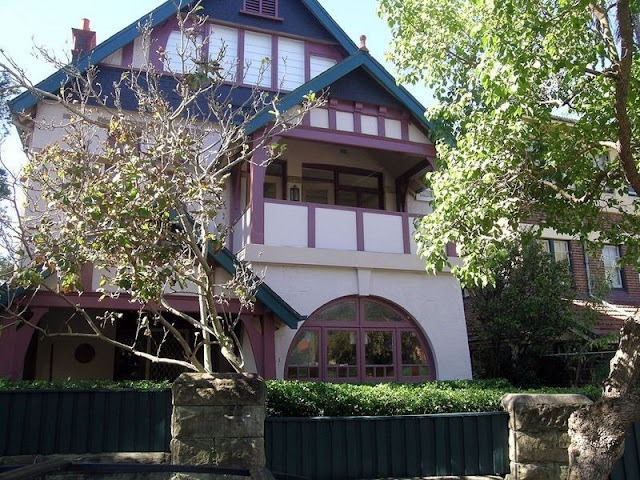 The property adjacent to 8 Carabella Street is the RBA’s training and conference property, the H.C. Coombs Centre for Financial Studies on Kirribilli Avenue. 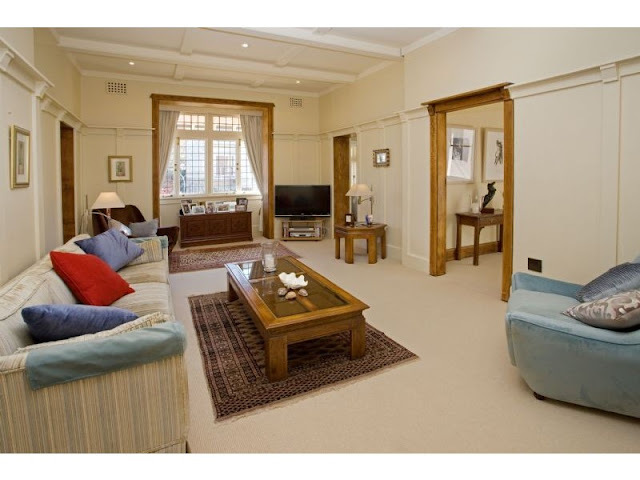 The centre has 30 guest rooms – 12 with harbour views and 18 with garden views. The site where the H.C. Coombs Centre for Financial Studies now stands originally housed a guest house but following its acquisition by the Commonwealth Bank the building was turned into a residential training college for staff. The Reserve Bank inherited the building in 1960 using the premises to host interstate staff employed by the Bank at residential courses. 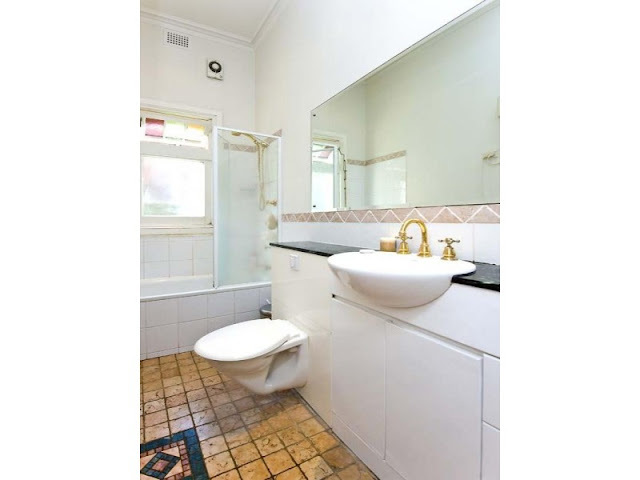 The tenants of one of the apartments within 10 Carabella Street gave notice of their plans to vacate in mid-2013, but the other tenant wanted to stay despite the poor bathroom, and even sought to buy it off the bank directly. “The bathroom works have been planned for some time and for this reason, the latest lease term of one year was offered,” bank email correspondence shows. “I note your request to negotiate off market for the acquisition of the property, if the bank decided to sell it for reasons of probity and in the taxpayers’ interests, it would approach the market transparently and at arm’s length. “It would be improper for the bank to negotiate a sale that was not transparent and it would not do so” emailed Linh Gutierrez, the RBA senior manager property services. A well-articulated Federation house which complements the group of similar but individualistic Federation buildings along this street. This building is designed in the Federation Queen Anne style. 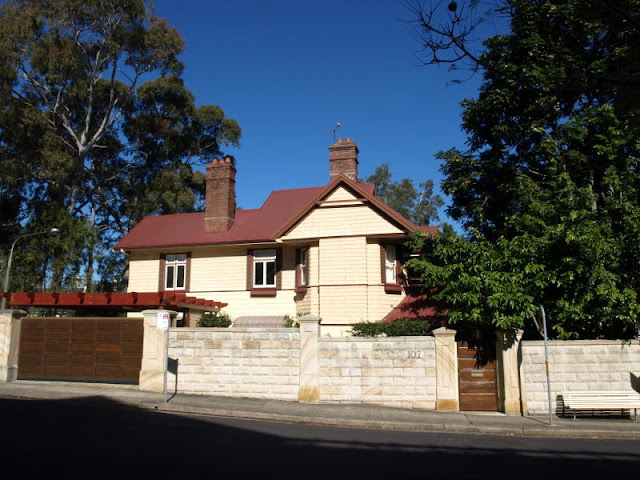 Three level brick house with multi-gabled slate roof, timber shingles to gable ends with panels of rough-cast stucco, square timber verandah posts with curved brackets and short timber finials. The walls have string courses and lintols of rock-faced sandstone. The building is two separate Federation-era buildings, now divided into units. The northern building is a 2-storey gabled Federation era building, originally face brick with roughcast stuccoed bands, and an unglazed terracotta tile roof. The building on the southern part of the site is a 2-3 storey, slate roofed Federation era building, originally face brick with sandstone banding. Spacious, beautifully presented two bedroom, one and a half bathroom apartment in character Federation security building, featuring polished wood floors, gourmet open plan kitchen flowing to spacious combined lounge and dining room, generous entertaining balcony with views to the Harbour Bridge and off street car space. A very special property! 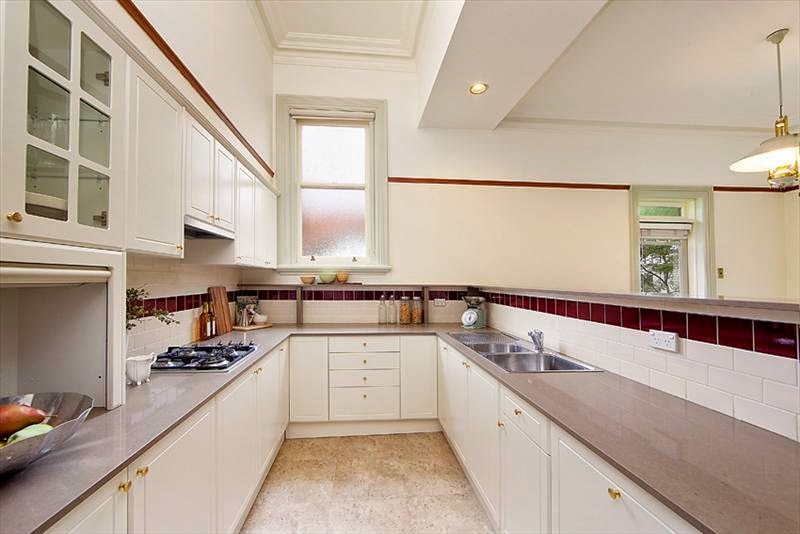 Previous Heritage Homes a Headache?